There are some brilliant bloggers out there who serve as great resources for anyone committed to a real food lifestyle. Below I’ve listed a few of the gorgeous and helpful blogs I visit again and again when in need of recipe inspiration and ingredient information. Sarah Britton creates truly fabulous recipes which are all vegan, aside from the occasional appearance of goat’s milk dairy, and designed to provide the maximum amount of nutrients. She also writes great information about the health benefits of specific foods, particularly helpful when her recipes call for more obscure ingredients like maca and chlorella. We have her to thank for the amazing Life-Changing Loaf of Bread; go get the ingredients now if you haven’t tried this yet. My New Roots portrays healthy cooking at its best: vibrant, fun, and so so tasty. Amy Chaplin has years of vegan restaurant experience behind her and a great passion for whole foods which she deftly translates into healthy recipes for the home cook. Her recipes celebrate the season by featuring fresh produce at the peak of its harvest…just look at these Sweet Potato Carrot Cakes. You’ll find no refined sugars and very few flour-based recipes among her meals which are meant to satisfy, heal and invigorate. 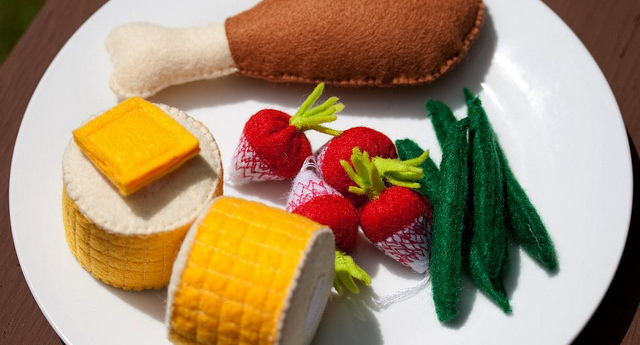 Jennifer McGruther refers to the wisdom of our ancestors in her quest to preserve and revive traditional methods of food preparation. She’s particularly great for fermented foods (like yogurt, kombucha and sourdough bread) and for pleasing and nutritious ways to prepare animal protein. 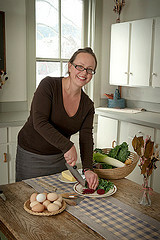 Most importantly, she’s knowledgeable about sourcing ethically- and sustainably- raised animal-based foods. Her reverence for tradition promotes a way of cooking that strives to be good for the body and the earth. 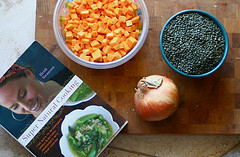 Heidi Swanson is a vegetarian cook and cookbook author who bases her recipes on interesting ingredients combined in unique ways; case in point, Green Curry Porridge and Miso Tahini Soup. I sometimes get a teensy bit jealous of Swanson’s location in California which allows her access to an eclectic variety of ingredients, but vicariously experiencing them through her outweighs this emotion. Besides, the beautiful simplicity of her recipes means they’re versatile and will work well with whatever suitable ingredients you are able to procure.